Access deep states of calm with iAwake's new brain entrainment technologies. Enjoy a blissful, natural high and release anxiety in minutes. 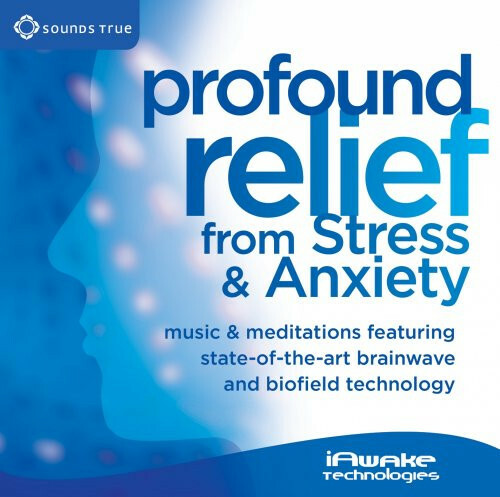 iAwake audio technology goes beyond conventional binaural music programs by integrating multiple layers of researched entrainment psychoacoustic principles. The result? Quickly induced states of deep calm that last for many hours, even when used daily. This program immerses you in a gentle soundscape for fast and lasting relief from tension, worry, and fatigue. CD 1 is a music-only session. CD 2 adds a guided meditation for opening the heart and releasing self-love and self-compassion. We are all perhaps familiar with the content in this audio book, even so we all need constant reminders on how to live. This is a gentle presentation of essential ways to think, relax and ultimately change your brain. I will re listen and re listen. The sound only versions are quite good and soothing. The guys voice is slightly grating to and he keeps mentioning breasts which I don't have which kind of creates stress just when I'm almost relaxed . Is he trying to make a statement? Kinda just spoils it. I stopped using it which is a shame.